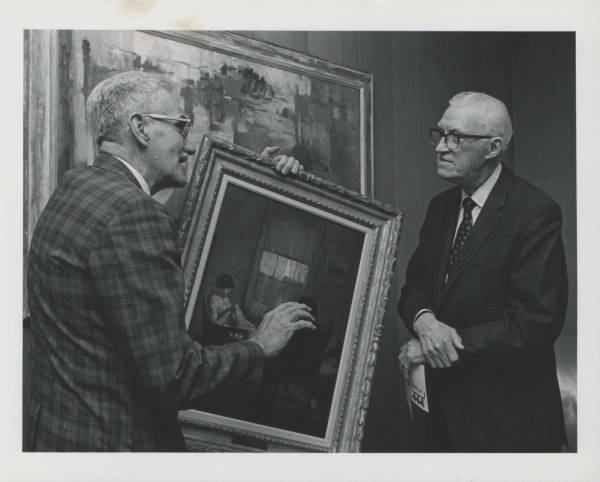 Through the Lehigh University Photographic Collection we have found several pictures of Francis Quirk discussing various paintings. 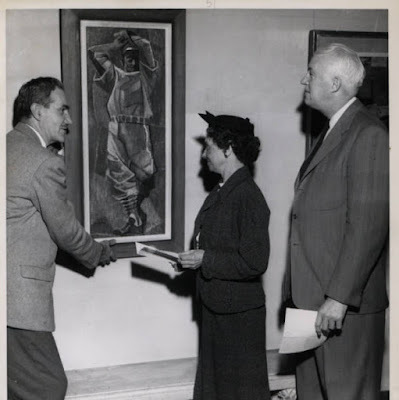 We have not been able to identify the paintings. The photo below in one reference describes the woman as being his wife. 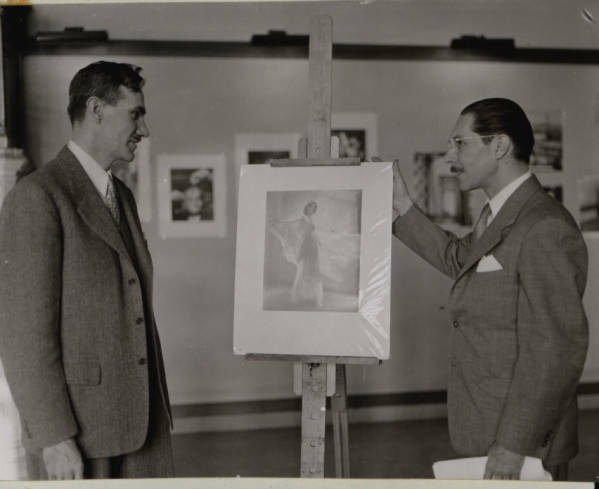 Below is another painting of Quirk with Ralph L. Wilson. Again, we do not have details on the painting. Ralph was a significant donor to Lehigh's Art Museum and donated a Warhol in 1975.